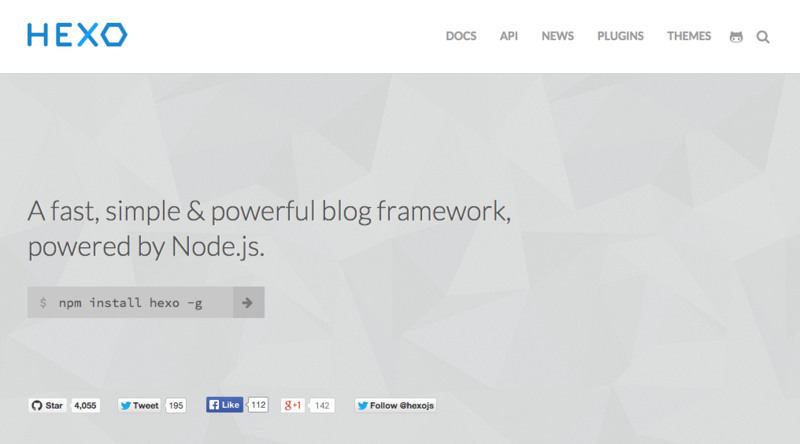 Mainstream blogging platforms like WordPress, Blogger, Tumblr, etc. aren’t designed for hackers and serious content writers. But we are not just looking for an engine who is developer-friendly but also a platform which would not distract you from your writing. 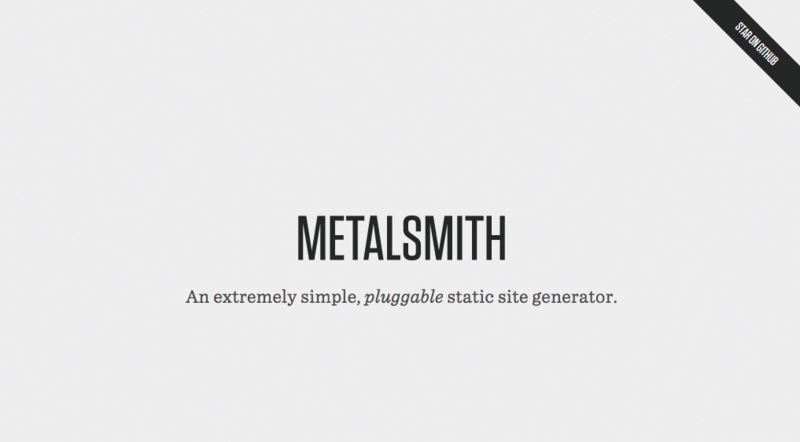 An easy to use, minimalist, writer friendly platform for everyone. 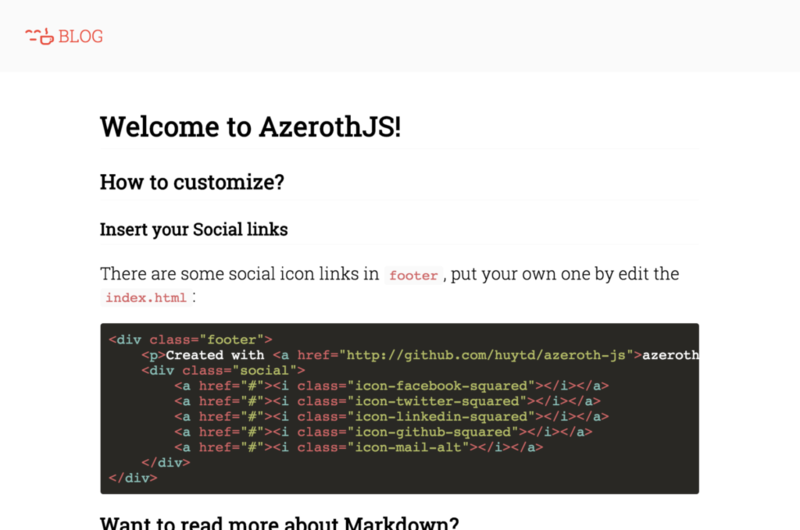 AzerothJS is an open source blog engine running on static file servers such as Github Pages or any web hosting. It tries not to put any limitations on how you work with your content. You can transform it using plugins and structure it as you please. Use your favorite templating engine, it comes bundled with a Jade plugin and there are community made plugins for most other node.js templating engines. It takes the information from the source files from a source directory and it writes the manipulated information to files into a destination directory. All manipulations, however, it exclusively leaves to plugins. 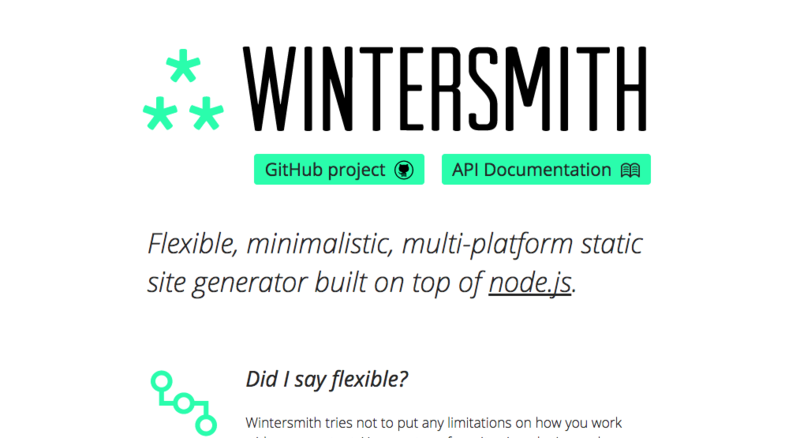 It is very much a descendant of Ghost, with a focus on user experience and minimalism. It also tries to get you up and running as fast as possible. 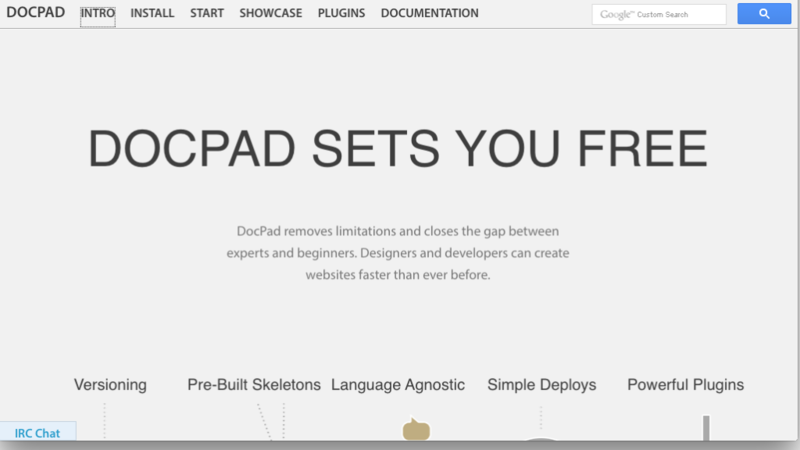 DocPad removes limitations and closes the gap between experts and beginners. 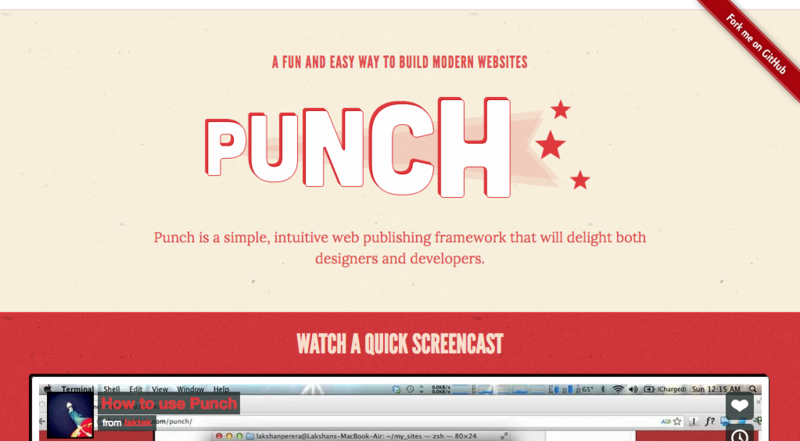 Designers and developers can create websites faster than ever before. 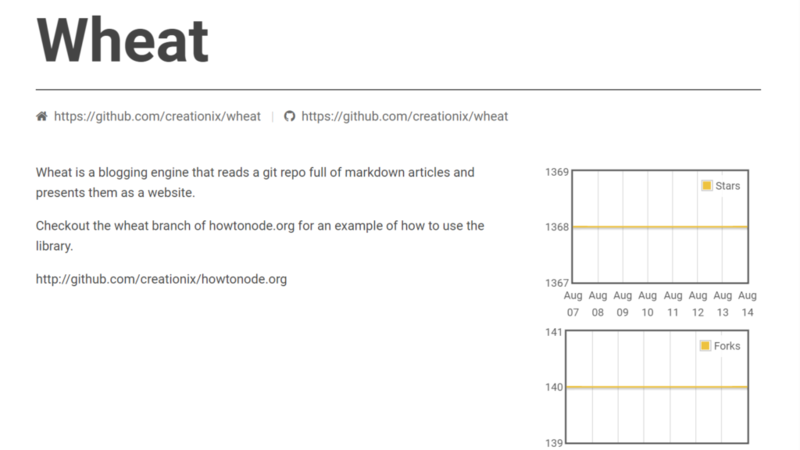 Wheat is a blogging engine that reads a git repo full of markdown articles and presents them as a website.